A kitchen remodel is probably the most complicated project you will ever take on. And a talented, experienced kitchen designer can remove the guesswork, streamline the process and make it possible for you to get the kitchen design you’ve always wanted. A kitchen designer focuses on making the most of your kitchen: it has to be efficient, it has to have lots of storage, and, of course, it has to look good. He or she knows what works and what doesn’t. Any good kitchen designer is continuously learning from their clients what they do and don’t like about their old kitchens and what they do like about their new kitchens. A kitchen designer can help you budget wisely, avoid mistakes, make the space beautiful and functional, and introduce you to new products and cabinet interior accessories. 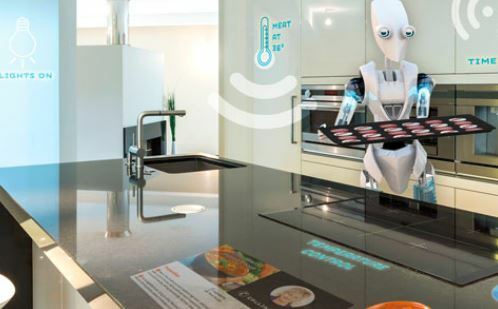 With access to planning tools and technology and the inside scoop on trends, new materials, building codes and technical ins-and-outs, a kitchen designer’s know-how can save you a lot of time, money and frustration. Your kitchen remodel won’t be as fast or easy as you’ve seen on “home makeover” TV shows. It’s a serious investment in both finances and time. We’ve outlined the most important considerations for you to think about before you begin the process of hiring a kitchen designer and undertaking a kitchen remodel. If you are prepared with the knowledge of what to expect, the right questions to ask and answers to the questions the designer will ask you, your kitchen renovation experience will go smoothly and will result in the kitchen of your dreams. Browse decorating websites and magazines for kitchen design photos that show what appliances, cabinet styles and finishes and flooring you like. A picture can communicate clearly what you may struggle to capture in words. Where do the kids do homework? Do you pay bills in the kitchen? Are there height or accessibility needs? Are the cooks right- or left-handed? What activities should your kitchen be designed around? The more clearly you can describe what happens in your kitchen, the more you’ll be able to design a new room that fits the way you live your life. #3 What Problems Can a Kitchen Renovation Solve? Identify the problems you’d like to correct with your redesign. Your kitchen designer will be able to tell you what’s needed, how long it will take to accomplish and how much it will cost. The kitchen designer may point out potential problems with items in your wish list. On the other hand, he or she may introduce you to options you hadn’t considered. Be open to suggestions — after all, expertise is what you get when you work with a kitchen designer. Talking about your kitchen remodel project should include a truthful discussion about budget. Be honest with yourself about what you can actually afford to spend on a new kitchen. This will also help your designer when making decisions about where to spend and where to make cuts. A good designer can help you get your dream kitchen and keep it within budget. An experienced designer has the know-how to stretch your dollars as far as they’ll go. Many grades of cabinets exist; possibly custom is not within your budget, but semi-custom will fit and look and function much the same as ones from the high end company. The same goes for appliances, countertop materials and every other aspect of your kitchen remodel project. Verify with your kitchen designer from the very start exactly what is included in the cost of your project to avoid misunderstandings: designs, materials, installation, renovation. Your kitchen designer will present you with an itemized cost schedule which you pay in installments. And you don’t pay in full until the work is done. A good kitchen remodel plan takes time to create, and so does bringing it to life. 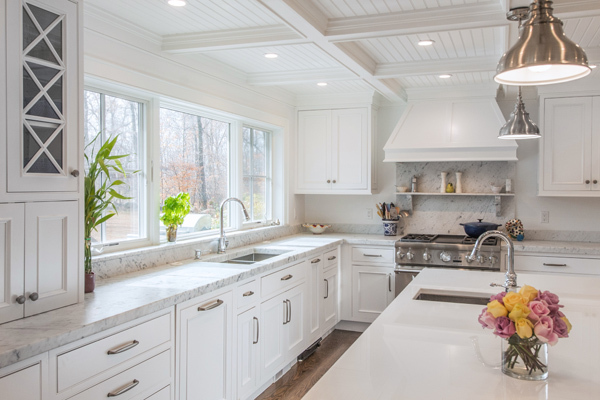 Most people are surprised to learn that while construction itself takes a month or two in most kitchen remodels, the entire project – including design meetings, drawings, product selections, and construction planning – can easily take six months or more from start to finish. The important thing is to know the timeline for each phase of the project, so you can plan ahead. Your designer will tell you what to expect. Semi-custom cabinets or stock cabinets come in standard sizes. Cabinet manufacturers know which appliances their products work with, but there may be discrepancies. The kitchen designer should tell you right away if there might be a fitting problem. Of course, if you choose custom cabinets, fitting is not an issue as cabinets will be made to accommodate the appliances of your choice. Depending on how far along in the project you are, change orders can be anything from no big deal to a major issue. Not only will changes delay progress, they will also cost you. If there’s a change that must be made for you to enjoy and use your new kitchen, it’s best to speak up than to end up living with something you don’t like. But be aware of the consequences of making changes. The ideal designer-client relationship is based on honesty, trust, communication, respect, and a sense of teamwork. You can be assured when working with a designer from Kitchen Design Partner that they have been passed our standards and are experts. KDP exists to offer insight and advice about all things related to kitchen remodeling. Our goal is to connect homeowners with talented, experienced kitchen designers who live and work in their communities. We are a serious resource for anyone preparing to remodel their kitchen so they can make the best possible choices about designers, contractors and products.